Bingo! - Beer Hall - Zipline Brewing Co.
Free Bingo! at Zipline Brewing Co. Beer Hall. Play to win Zipline Brewing Co. prizes. 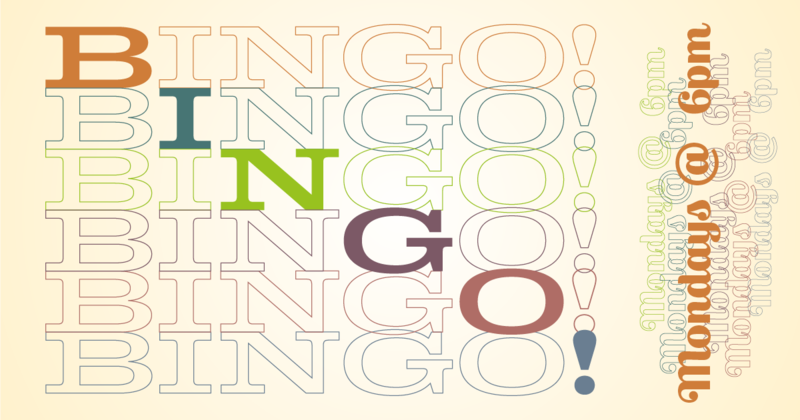 Don’t worry if you miss out tonight because we play Bingo every Monday night! Manila Bay Filipino asian cuisine will be joining the Bingo fun offering lupia, crab rangoon, and egg rolls.